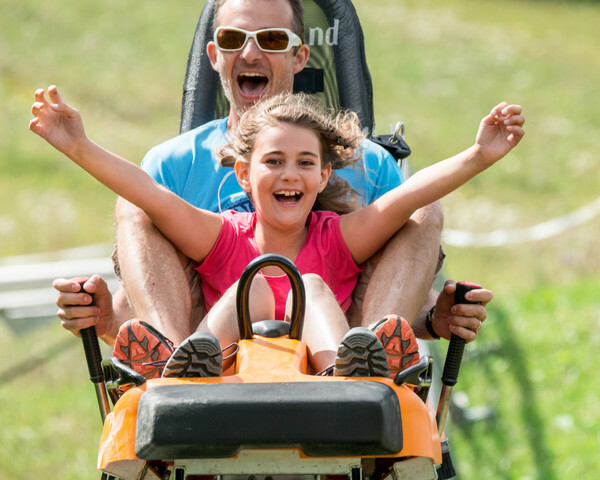 Hop on your sled and get to explore 600m of downhill run through the forest, sensational ride guaranted! Come and try our 4 season sledge! Wether you're craving for speed or feeling like enjoying the landscape, our sledge is perfect for kids to grown ups. Accessible from 1,05m and above, come enjoy our 600m of downhill run with 9 turns and 3 "jumps" that will make you laugh and asking for more! 6193 route de la Sambuy, "le Vargnoz"